Join SRT Education Coordinator Sam Weiser and the SRT team for some seed gathering, restoration planting, native shrubs & grasses, and trail maintenance. While on the preserve, explore the numerous fascinating natural features and enjoy some great wildlife watching all around! Wear layered work clothing and sturdy shoes, bring a hat, sunscreen, and a water bottle. Snacks and water dispenser will be provided. 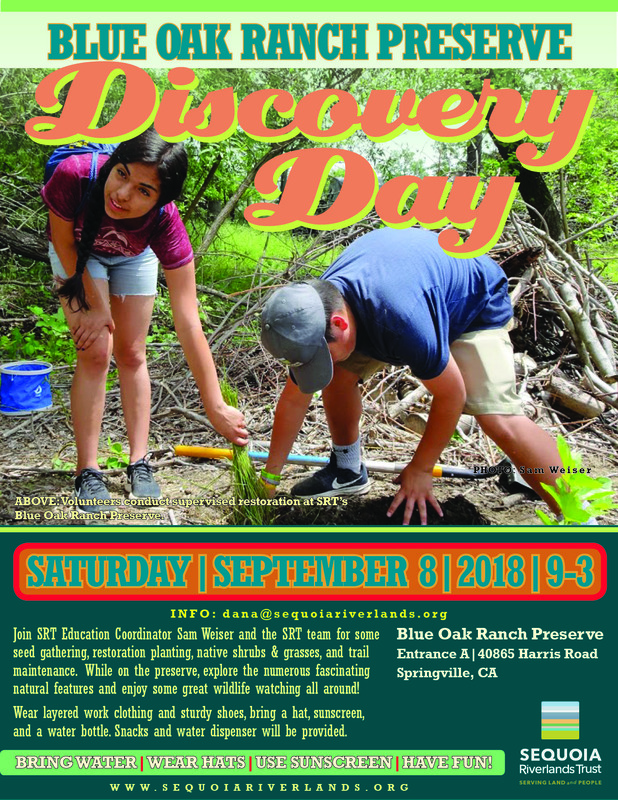 See you at Blue Oak Discovery Day!